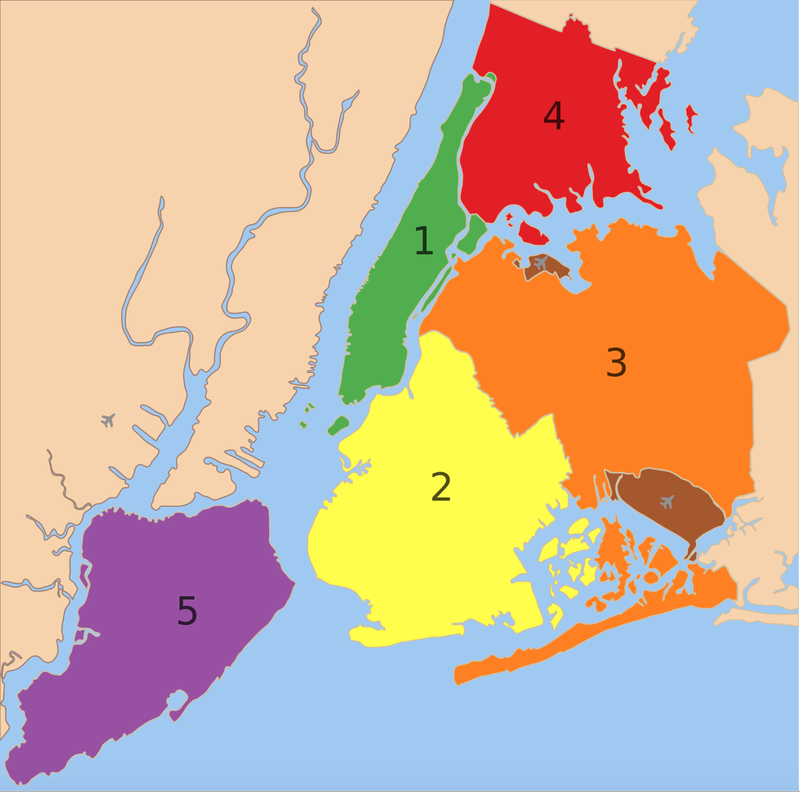 The counter-intuitive answer is not only “yes,” but by over twice as much–Staten Island, that somewhat neglected borough of an otherwise racially diverse metropolis known as Gotham; its actual landmass–58.69 square miles to Manhattan’s mere 22–almost approaches the size of the prawling borough of Brooklyn, but remains the least inhabited by far, with fewer than 500,000 residents. 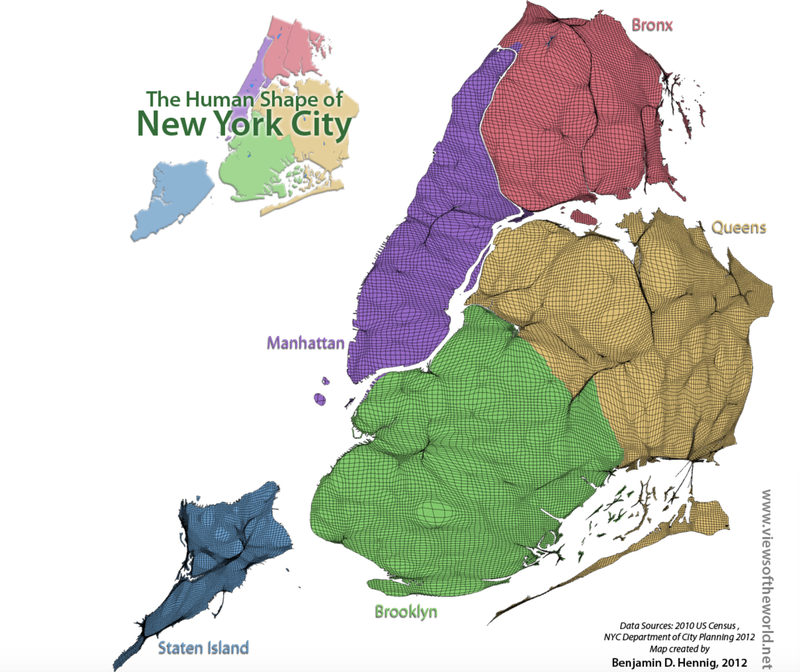 Is the low density of its habitation part of the reason that it has for so long held a lesser role in the spatial imaginary of most New Yorkers, and indeed the spatial imaginary that is projected to the nation and to much of the world? The growth of Staten Island’s current far more suburban character makes it the least populated–and the whitest–of all of New York City’s boroughs, as well as the last of the boroughs to be incorporated in the city–as the island was not only joined with Richmond County, but known as Richmond long after the city’s incorporation in 1898, and only changed its name in 1975. 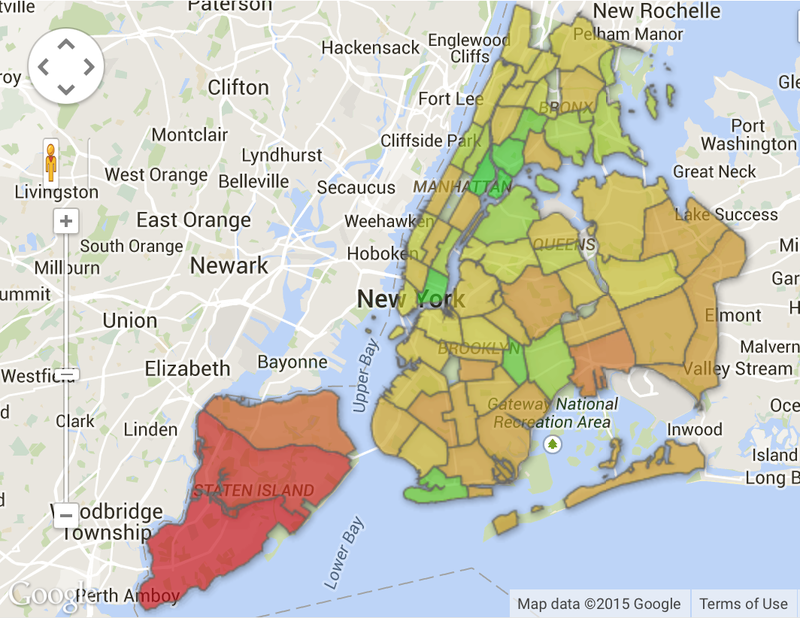 Removed in politics from much of New York because of its distinct demography, the perceived image of Staten Island is reduced in the mental geography of most New Yorkers–as it is in the geography of mass transit that is perpetuated by New York City’s MTA, that common proxy arbiter of transit distance, despite its obvious distortions. For this former refuge of French Huguenots, if joined to the city’s 1898 incorporation, was long mapped–shown here a decade prior to the incorporation of the boroughs, in 1889, as something belonging also vaguely to the offshore, containing far less congestion and less defined by a fixed north-south street grid in the manner of other boroughs, and indeed with small settlements on its shores, even if the map was titled “Staten Island,” the name was oddly all but absent from place-names on the map’s face, running along the interior of its southernmost shore. As well as having the ring of a quiz show challenge, the question comparing the current borough’s geographical size seems such a surprise because the proportion of the clty’s residents, using data from the 2010 US Census, is so disproportionately distributed, as was revealed so cleverly in one of Benjamin D. Hennig’s cartogrammic warpings of the space of each borough of New York City, shrinking the borough in proportion to its population–which both illustrates and shows by re-rendering the borough’s size to correspond with its number of permanent residents. But the counter-intuitive nature of question may also be based, to cite Streetsblog, that the quite pastoral area to which one often arrives by ferry on one of the few remaining free pleasure-rides, offering an easy opportunity for photo ops in the New York Harbor beside the statue of Liberty, is also among the “least walkable” of areas in the city, and despite its interestingly old architecture and churches, often finds passengers boarding the next ferry to return, rather than explore the less densely populated site of residence that they reach by taking the sole remaining remnant of the ferry system that once connected residents of boroughs in an era before such bridges as the Verrazano or Triborough were erected. More surprisingly, hence, Staten Island’s population produces considerably more garbage and waste in comparison to other boroughs–at least to judge by the mapping of some 274,000 tons of trash that New Yorkers generated in five boroughs in September of 2011. The tally of collective trash, made before the dispersal of urban refuse to such far-flung sites in Ohio, Pennsylvania, Virginia and South Carolina, found that some 99.4 lbs of trash and recycling combined were generated by its residents per person–over twice that generated in Harlem’s eleventh district, in what seems to illustrate a stark citywide difference in patterns of consumption. As well as being considerably larger, the scope of garbage generated in the city’s borough reveals a disproportionate increase in the amount of trash–recyclable and not–coming out of the less populated expanse of Staten Island. 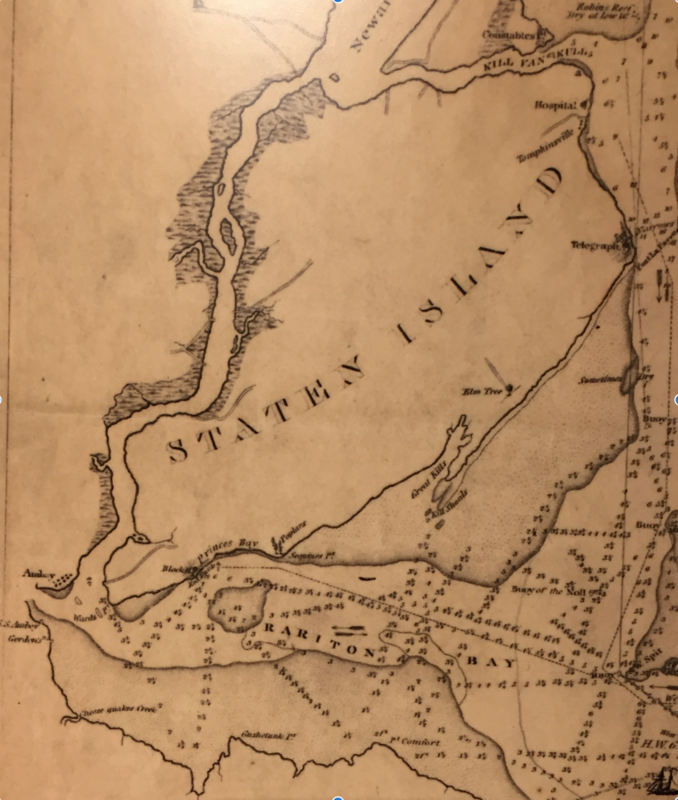 And if the island is not the largest of the boroughs, by any means, if one includes the large if submerged sand bars that form part of its landmass–if they are rarely registered on most land maps—the extent of “sandy Staten Island,” whose sandy Raritan Bay was a site for oyster cultivation, rich with shellfish, is both of greater expanse than many other boroughs, but a considerably greater geomorphological presence in the region–as early nineteenth-century nautical maps of the arrival in New York Harbor reveal-at a time when the Island was sparsely settled on its shores. 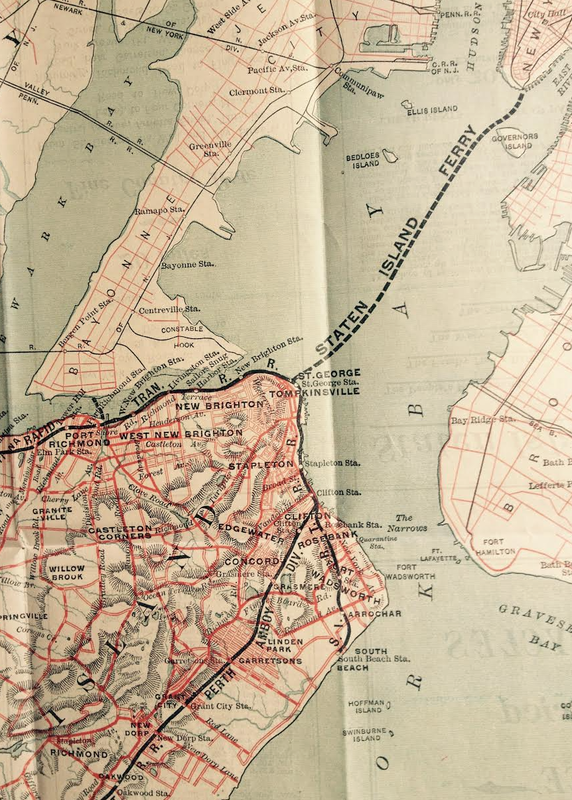 Despite the size of the island, the cognitive dissonance of Staten Island’s considerable actual expanse seems echoed in its relatively diminished size in metro transit maps, those urban symbols of the spatial relations in the city that are encountered almost every day. 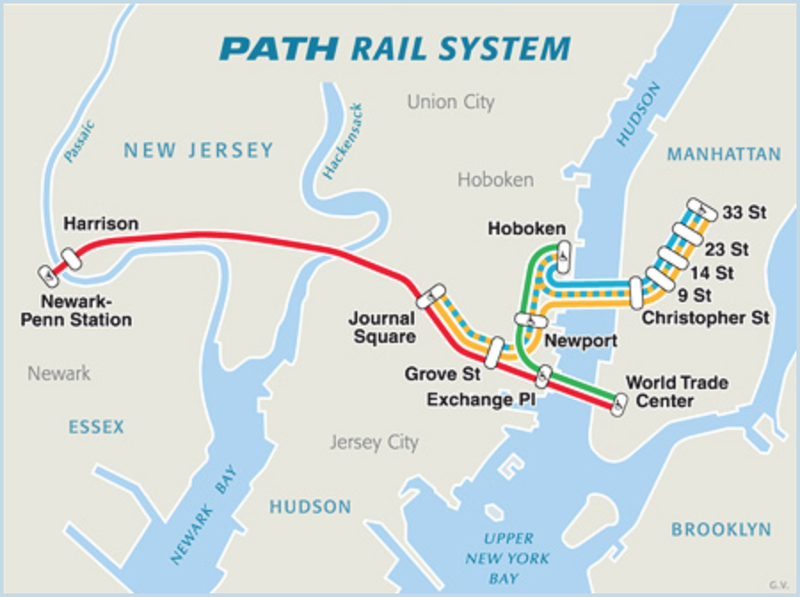 Such maps perpetuate a deeply distorted view of Staten Island as limited to the Upper Bay, and excluding the regions nearest to New Jersey or the Jersey shore, may have been all too easily falsified by the spatially disproportionate coverage of the five boroughs in the MTA subway map, which marginalizes the sizable island–which lacks major lines of subway service–out of scale, by showing it at a reduced size in the lower corner of a map where a hypertrophied Manhattan occupies and expands across its center. 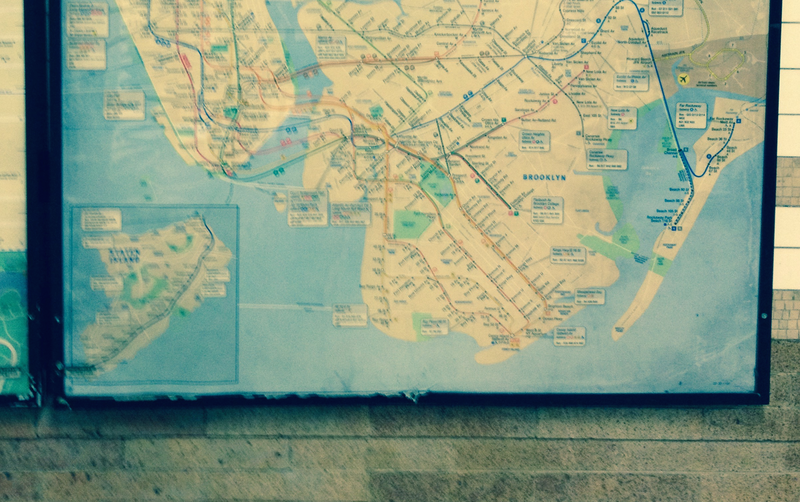 For the talismanic transit map is a document of the spatial imaginaries transit-goers citywide, after all. 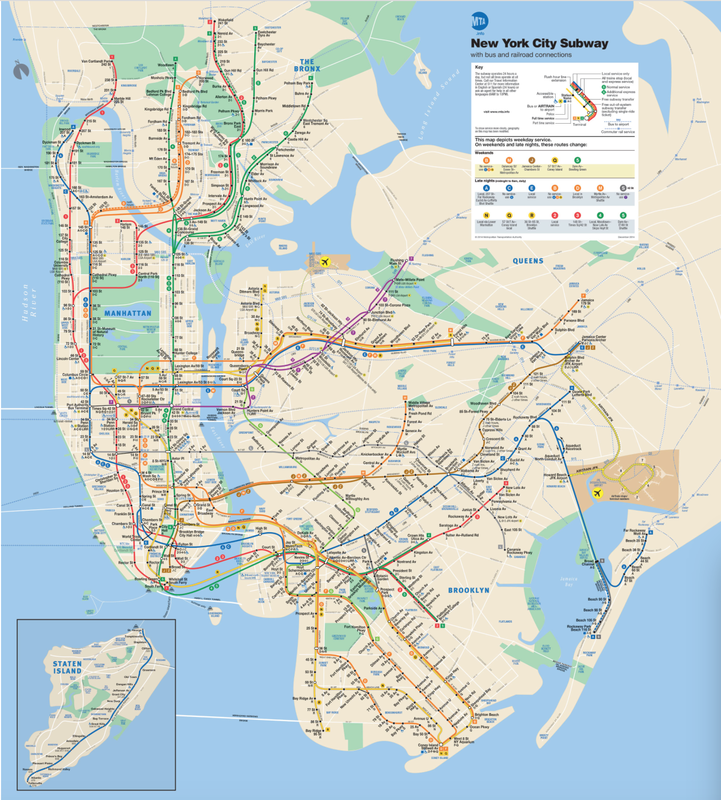 But the disproportionate coverage of the inset view of the borough in the MTA transit map on the tiled wall of each and every subway stop in New York City which distorts Staten Island’s size most profoundly to confuse the spatial imaginaries of all subway riders. Whereas the boroughs of Manhattan, Jersey City, and Brooklyn are two-dimensional street plans, Staten Island unfolds for the viewer in full glorious shaded relief, using shading to suggest impressively dramatic changes in elevation of hilly terrain in oblique fashion: the mountainous topogrpahy of Staten Island is rendered in detail by shading their slopes by hachures to give presence to sloping hills of the borough showing them in a tactile elegant relief, complimented by the streams that run to its beaches, as if to conjure a clearer landscape for the map-reader’s eye. The detailed landscape appears almost rural, as if to compel city-dwellers to voyage to the island that is shown with such greater topographic concreteness than other boroughs. 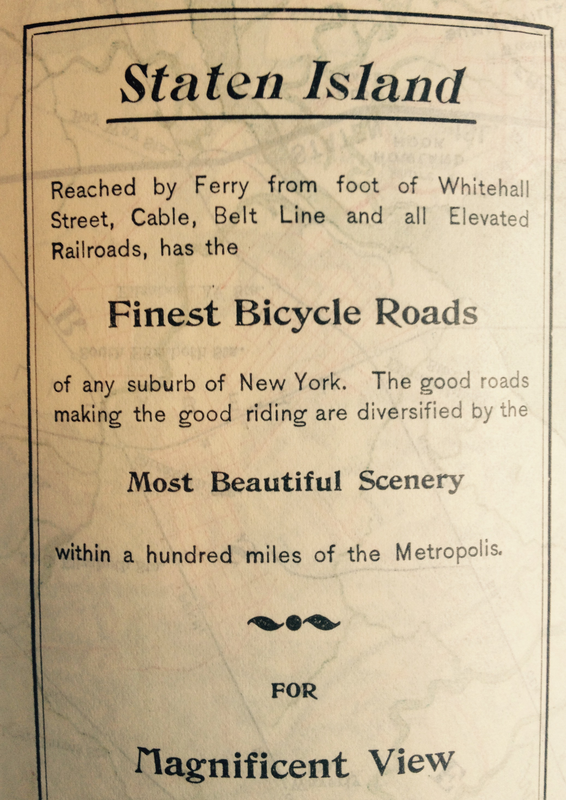 While the one-time Staten Island Rapid Transit Company pushed a different sort of pleasure tour as an itinerary than most contemporary MTA maps, which boast continuous coverage of four boroughs, the separate transit system of the other island borough in the late nineteenth century suggested the unique terrain that it sought to offer for all New Yorkers, in a truly democratic medium of leisure. 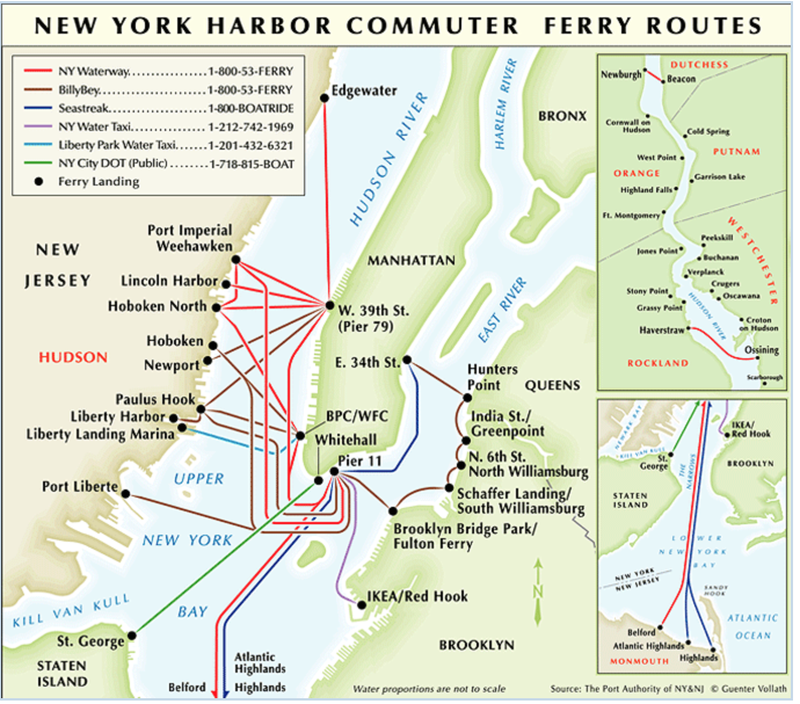 Since then, the marginalization of transit-systems to a rubric of spatial inter-connection has led Staten Island to be reduced to the position of an inset view in the MTA transit map–reducing the sense that it is both actually so close to Coney Island, and creating a false spatial imaginary for many New Yorkers until they take the Ferry ride. But the distinct demographic, lifestyle, and voting preferences of the borough force it to stand apart, perhaps distanced from the city as a whole, and maybe bearing less attentive observation within the city’s melting pot. Indeed, this 538 mapping of Facebook likes of the Presidential primary of 2016–here, Clinton in Green and Trump in Tan–suggests the Democratic/Republican fault lines that seem to plague the calculation of a Staten Island v. Manhattan divide, and somehow spatially distort the relation yet once again–and, perhaps, another reason for distancing the proximity of such highly contrasting political preferences within the electorate. Indeed, in terms of its voting patterns, Staten Island–as many of the outer areas of the boroughs–stands apart and at a decisive remove from the more densely populated boroughs of New York City, and is perhaps all the more mentally distant from city politics.